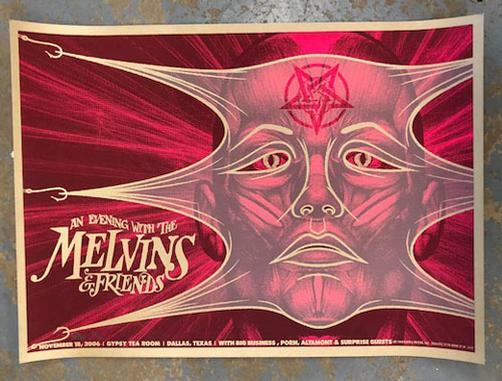 Original silkscreen concert poster for The Melvins at The Gypsy Teat Room in Dallas, TX in 2009. 24 x 17 inches. 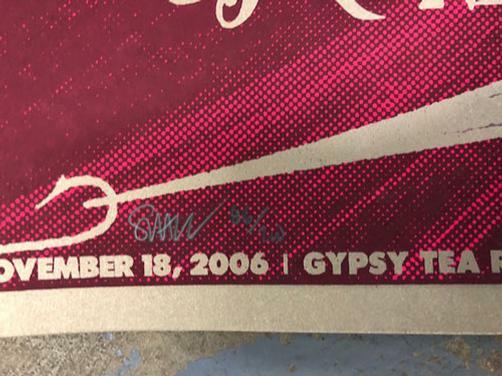 signed & numbered 86/200 by the artist Todd Slater.